This past weekend, I completed the final section of my backyard edible landscape. The section I completed was the 4th side of my fenced in backyard. I am very excited to be able to expand my garden this year. I will be planting veggies as well as herbs and beneficial bee flowers in this bed. The final section is my attempt at a hugelculture inspired raised beds. A hugelculture bed for those of you unfamiliar with this term is a bed that is made by burying tree wood in a ditch and then covering the wood with organic material then the original soil you removed to make the ditch. Back to my project. As I was creating my fourth section, I thought about the other three sections that I have created over the past five years. The first year I removed the lawn and brought in soil from my dad's farm. This was a lot of work. This work took me three or four eight hour days to complete. I was starting to have second thoughts about my plan. Fortunately I decided to keep going... During the second year I created raised beds out of wood sourced for free with the intent to bring in more dirt from the farm. That year was unfortunately wet and busy so I actually bought soil from the store. I was definitely a rookie but at least I recycled the wood for the raised beds. The raised beds worked well but I have had to add a lot of organic material to get them to produce like they are now. In year three my knowledge really increased. I learned and applied lasagna gardening techniques that year. 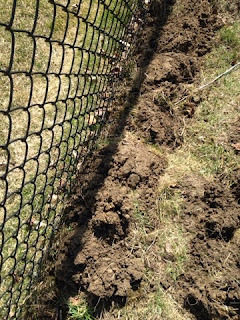 My results were great using lasagna gardening but my neighbors were not all that impressed with the way a lasagna garden looked over the fall. I actually was cited that year for an unsightly situation on my property that I had to clean up. I wasn't really happy about that but unfortunately not a lot of people are educated about these types of things. Life goes on. Year four was when I learned about permaculture. In year four I took a year off of my plan of creating beds along each fence row to create three permaculture beds instead. These beds worked really well for me and really got my mind thinking about how nature works and how I could work with nature instead of spending money on fertilizer/chemicals/irrigation. Back to 2015 which is my fifth year of the project. 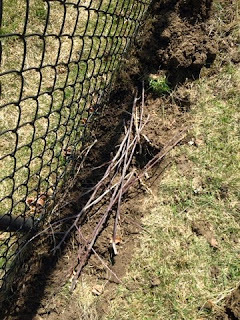 The hugel bed I created is from sources directly from my property only. The wood I used was from pruning my fruit trees in February. 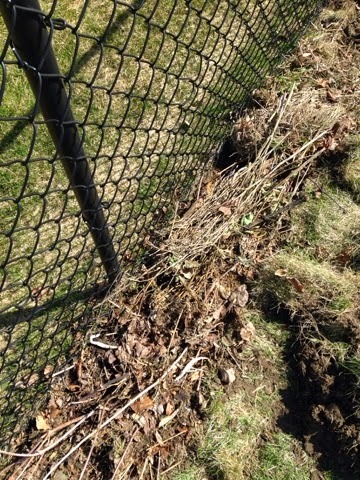 The organic material was grass/leaves/veggies from the previous year. The compost will come from my own compost pile as well as the mulch I will apply will be grass clippings from my natural lawn. I believe this bed will be the best one yet. In case you could not tell I am very proud of my growth over the past 5 years. This bed cost me 0 dollars to make compared to the early versions that either required me to purchase soil trucked from somewhere or me driving over 50 miles to bring in dirt. I am all about saving money so this a great thing in my mind. 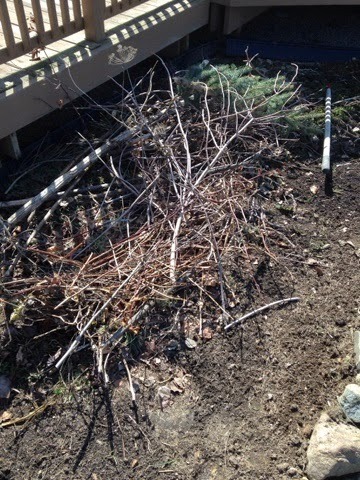 The bed that held the material from last year about half way through this hugel project. 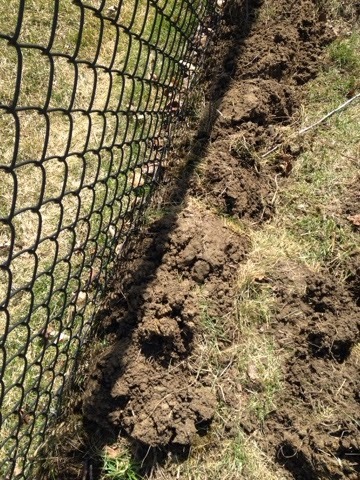 The original soil replaced grass side down. Now that my backyard suburban garden is complete I will definitely not be quitting anytime soon. I still have a lot of work to do to incorporate permaculture techniques like swales in to my rookie projects. I have improved those sections quite a bit but want to take them to the next level. I will also be turning my attention to my front and side yards so there will definitely be more work done on my yard in the future. Stay tuned! If you are interested in learning more about my hugelbed's progress in 2015, click the link below that will allow you to follow me on social media or via email. I look forward to sharing my progress with you.